Could Lyme disease be the first epidemic of climate change? 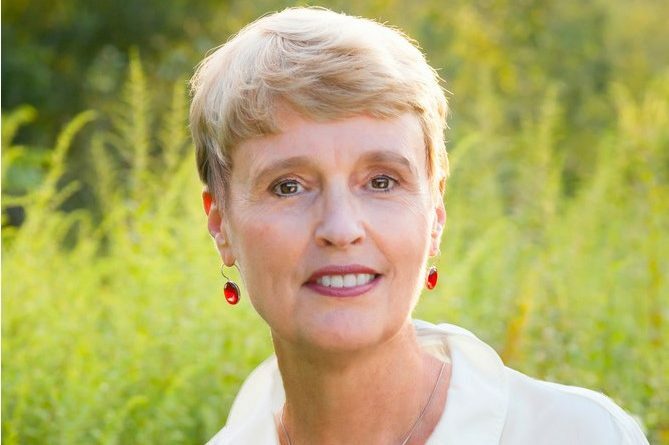 Mary Beth Pfeiffer, the author of the 2018 book "Lyme: The First Epidemic of Climate Change." A public warning and call to action, the new book “Lyme: The First Epidemic of Climate Change,” by investigative journalist Mary Beth Pfeiffer, sheds light on a tick-borne disease that recently has emerged to infect hundreds of thousands of people in the United States each year. Lauded by well-known authors and conservationists, including Jane Goodall, Jane Alexander and Bill McKibben, “Lyme” officially hits bookstore shelves on April 17. The book challenges mainstream medicine and prevailing perceptions of the complicated disease. Lyme disease derives its name from where it was first diagnosed: Old Lyme, Connecticut, in 1975. 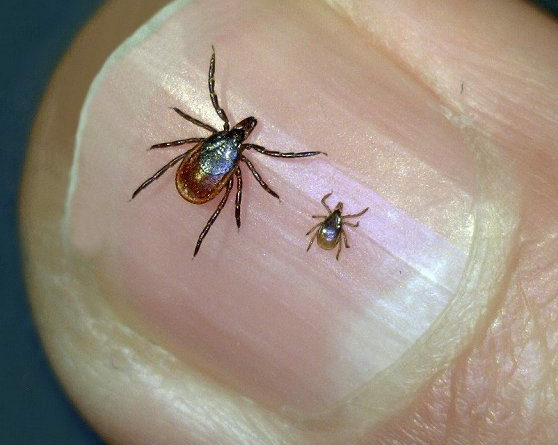 Caused by the bacterium Borrelia burgdorferi, Lyme disease is transmitted to humans through the bite of infected blacklegged ticks, also known as deer ticks, which has been expanding its range in the U.S. and other countries over the past decade. In Maine, black-legged ticks became increasingly common in the late 1980s and early 1990s, starting in the southern and coastal regions of the state and spreading north and inland. Coinciding with the spread of these ticks, reports of Lyme disease in Maine began to increase during that time, reaching an all-time high in 2016 with 1,488 cases of new Lyme disease infections reported by Maine to the U.S. Centers for Disease Control and Prevention. Pfeiffer first became interested in Lyme disease in 2012 as an investigative reporter for a Dutchess County, New York, newspaper, the Poughkeepsie Journal. 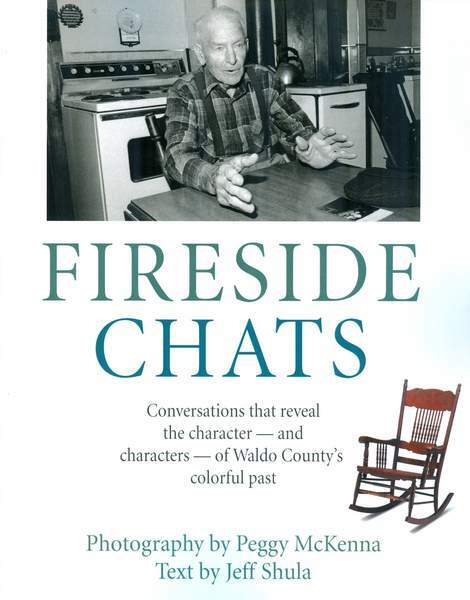 She planned to write one or two stories on the topic, keeping the coverage fairly local. It wasn’t long before her initial view of Lyme was shook to its foundations. The more she researched the problem, the bigger it became. With the intentions of writing a book on the topic, Pfeiffer took an early retirement from the newspaper business in 2015 and devoted herself to investigating Lyme. In her research for what became a 304-page book, she read approximately 300 scientific papers on the topic and interviewed medical researchers, health care professionals, wildlife biologists and entomologists around the world. She also gathered stories from people from all walks of life who had been affected by Lyme. “I ultimately concluded that it was the first major epidemic to move about the planet as a result of climate change,” Pfeiffer said, well aware that some readers may disagree. While climate change is at the heart of many of the narratives in the book, Pfeiffer spins off this theme to touch upon many different facets of Lyme disease, from its biological makeup to groundbreaking research being done to find better ways to diagnose and treat the disease. While it’s impossible to write a book about Lyme disease without much of it being scary and discouraging, Pfeiffer does attempt to insert messages of hope, especially in the final chapter. Optimistically titled “A Lyme-Free World,” the chapter contains information about how people can protect themselves from ticks and describes research being conducted to develop anti-Lyme and anti-tick vaccines. Also in this final chapter, Pfeiffer expresses the opinion that more funding should be allocated to Lyme disease research. And to illustrate her point, she compares the $1.1 billion in federal funding apportioned to research the mosquito-borne Zika Virus in 2016, to the $2.7 million in federal grants awarded to research on Lyme that same year. “Lyme: The First Epidemic of Climate Change,” will be available for sale at bookstores on Tuesday, April 17.